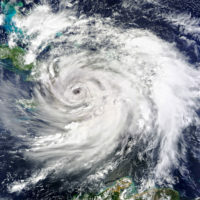 AccuWeather’s early prediction for the 2019 hurricane season is in: Here’s what it says | Insurance Litigation Group, P.A. One of the first predictions for this year’s hurricane season was recently released by AccuWeather, with a forecast calling for five to seven hurricanes. Although that number of storms is slightly lower from last year, which was eight, including Hurricane Michael that devastated the Florida Panhandle, it’s essential that you prepare sooner rather than later. Be sure to review our Hurricane Preparation Checklist. If you have experienced an insurance loss from a hurricane, tropical storm or other major weather event, don’t be surprised if the insurance company’s first reaction is to claim that your damage is due to some pre-existing condition or assert that your claim is not covered under the terms of your policy or even cancel your policy based on recently-discovered “errors” in your application. But don’t worry.